Lawmakers are at odds over a bill that would change Michigan's definition of renewable energy to include electricity generated by burning tires, used oil and industrial waste. The Republican-backed legislation is pending in the Senate after it was approved last week on a mostly party-line vote in the House. Governor Rick Snyder and legislators are expected to debate boosting the 10% target next year. But during their lame-duck session this month, some lawmakers are first pushing for incinerators to be able to call more of their portfolio renewable for purposes of the state's clean energy standard. Opponents said incinerators contribute to pollution and put the public's health at risk. They're also dismayed that the legislation would delete the law's definition of a renewable energy resource as a resource that's ultimately derived from solar, water or wind power. 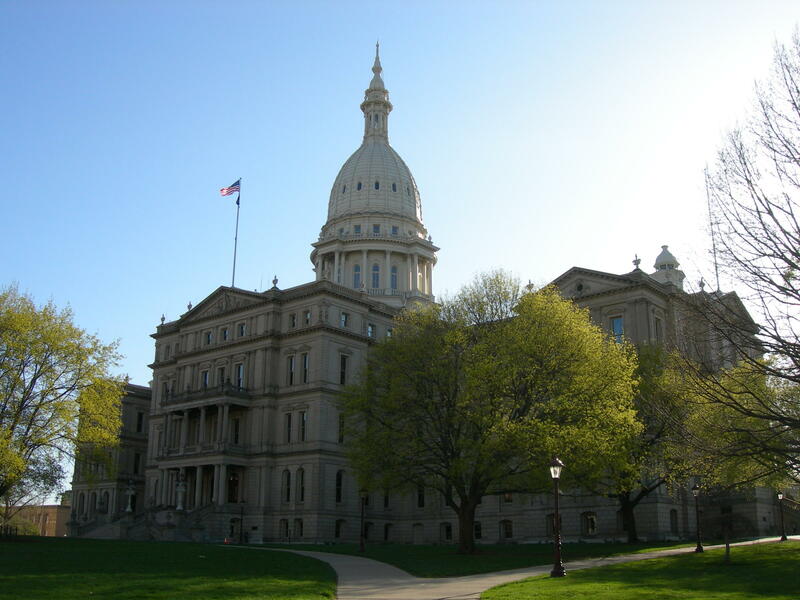 Democratic Rep. Sam Singh of East Lansing said it "makes a mockery of renewable energy and makes a mockery of this Legislature." You can listen to today's Environment Report above or read the story below. I recently got a chance to hang out with Tom Brady. Nope, not the football star. But this Tom Brady is working on making a name for himself. Brady just wrapped up his Masters degree. He’s an aerospace engineer, and now he's also the chief financial officer of SkySpecs LLC. He holds up something that looks half-insect/half-helicopter. 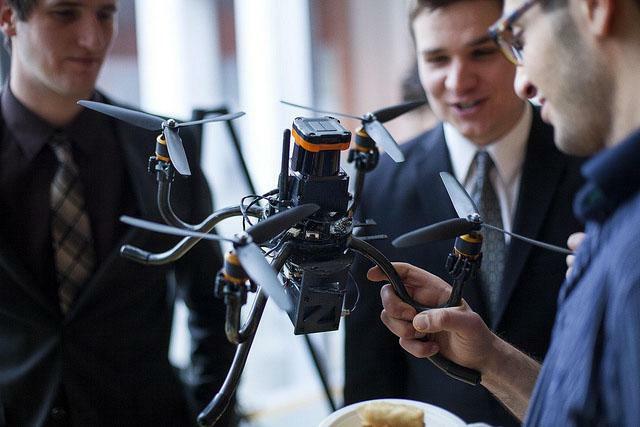 It’s an autonomous flying robot. In other words... it has a mind of its own. Brady says it finds its way around with cameras and computer vision. “Basically, what these things are: they carry sensors to places that an inspector would otherwise have to,” he says. Say, down into a sewer or up to the top of a wind turbine. 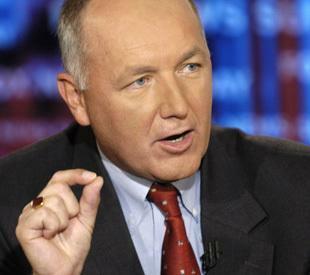 Republican US Senate candidate Pete Hoekstra says there are alternatives to using government subsidies to encourage new energy industries and the jobs that go with them. He said the proof is the business troubles facing two advanced battery companies with a presence in Michigan. A123 filed for bankruptcy last week and LG Chem has furloughed its employees. Hoekstra said that means millions of dollars in taxpayer subsidies were “wasted.” He said the subsidies also reward companies for working at applying for grants rather than their core business.